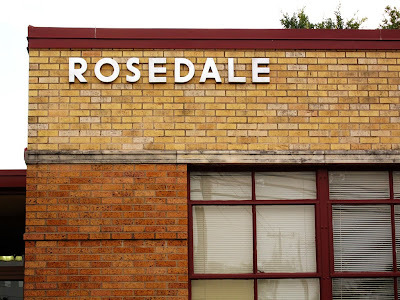 Located in north central Austin, Rosedale is walking distance from Burnet Rd. — home to some of the best greasy-spoon diners, dive bars and vintage furniture stores in Austin. Much of the land now known as the Rosedale neighborhood was first purchased by George Spear from the Republic of Texas in 1841. After his death the Rosedale neighborhood, like many neighborhoods in this area of Austin, was turned into farmland, sometime in or around 1866. In the early 1900s, Frank Taylor Ramsey, namesake of Ramsey park, turned a large parcel of that farmland into a nursery, which is why there are many large trees throughout Rosedale. In 1929, the land south of current-day Ramsey park was divided into lots and named Rosedale A, after the many Rosedale Arbor Vitae evergreens in the area. In 1931, the rest of the Rosedale neighborhood was divided into lots, then called Rosedale B, and in 1933 the Ramsey family donated the land that's now Ramsey Park to the city of Austin, which dedicated the park in 1934 after purchasing some adjoining lots.